The Shafter Learning Center held a secondary express enrollment date for those who wanted to enroll in college at BC on Jan. 9, for the Spring semester. This was the second express enrollment date offered for the community. 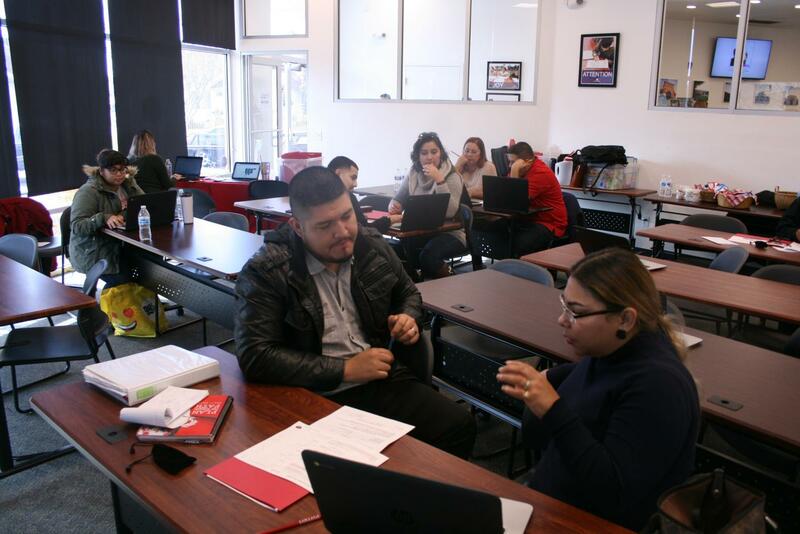 This past November Bakersfield College partnered with the Shafter Learning Center to offer an initial one-stop enrollment date in the rural community. Due to the program’s success in November, a second date was created to give those who were unable to attend the initial enrollment date, one more opportunity to enroll before spring semester was underway. 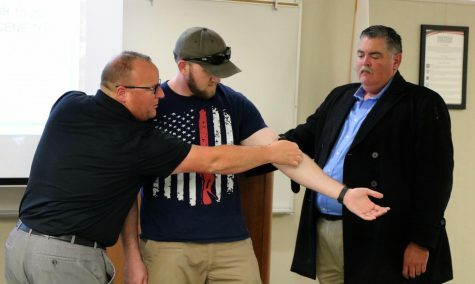 The primary thrust of the program itself, in offering college courses in Shafter, is that those underserved and underprepared, who are living in the rural areas of Kern County should have an opportunity to get an education too. 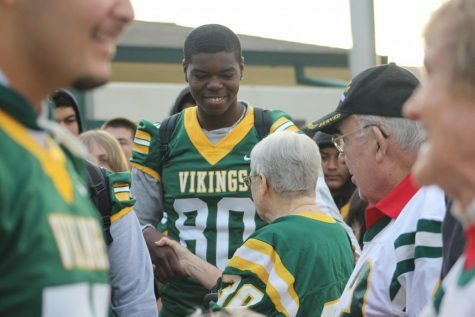 Measure J which is helping to redesign and update college campuses like BC within Kern County, has now made getting an education even more attainable to those residents who can’t make it to the main campus. Already, the community of Arvin has benefited from education outreach, and now for the communities of Shafter, Wasco and McFarland, the program will make finishing general education coursework toward a degree program or transfer program, a reasonable feat, according to Ashlea Ward, the Program Manager, Outreach and School Relations for Bakersfield College. Ward also said that their goal was to enroll as many students in Shafter as they could before school began. The students completed all of the steps in the enrollment process at the center during the last enrollment opportunity date and were able to leave with a class schedule on the same day. Students who enrolled had various majors in mind, or the goal of enrolling in general education classes and getting those out of the way. Most of the classes that are being offered in Shafter are primarily general education courses, according to Ward. “Community college is open to anyone and everyone and we want to have the opportunity to provide that service here in the community. The more gen ed that they can get here and get knocked out, and then maybe go to the Delano campus, it just gives them options,” Ward said. Options, that according to Ward, they might not have had, without this educational partnership between the center and Bakersfield College. 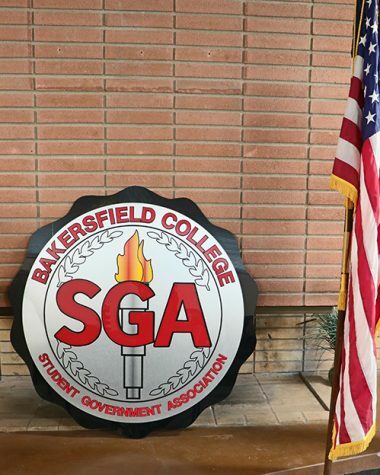 The partnership between the Shafter Learning Center and Bakersfield College, “is ever growing,” according to Ward, and she said that the people in the Shafter community want to take advantage of educational opportunities. 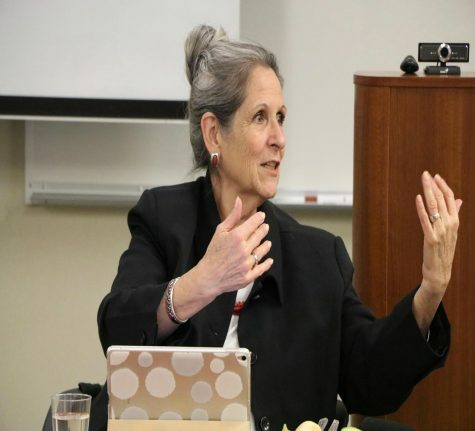 Due to the desire that she sees, she said she is certain they will continue to expand the program, and that the number of enrollments will continue to grow as they implement the program each semester. Ward said that having this program in their community will encourage residents to pursue their educations, as they witness friends and neighbors pursuing their education. Amerika Nino-Rodriguez, the Program Coordinator for the Shafter Learning Center said that they are offering 19 classes in Shafter, with 4 or 5 classes being given at the Learning Center this spring. The overwhelming response from parents of student’s grades K-12 is promising, according to Nino-Rodriguez. She said that some parents are encouraged to seek their own educational goals now that the program is underway and able to accommodate them more easily. “At the learning center our slogan is ‘have dreams’ and we very much believe that education really helps you to achieve those dreams … it’s not only going to have an impact on the individual’s life and their families but on the community as a whole,” said Nino-Rodrgiuez.